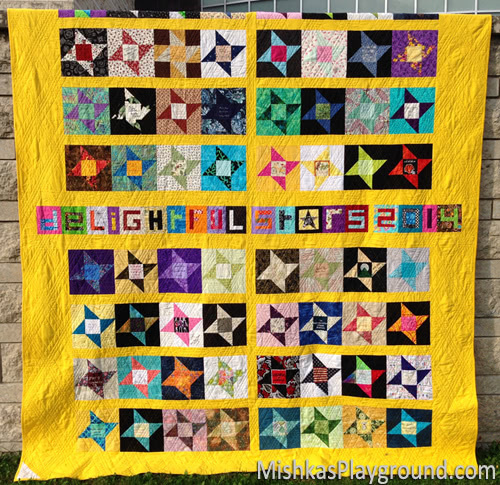 In 2014, I taught an advanced beginner quilt, Delightful Stars. 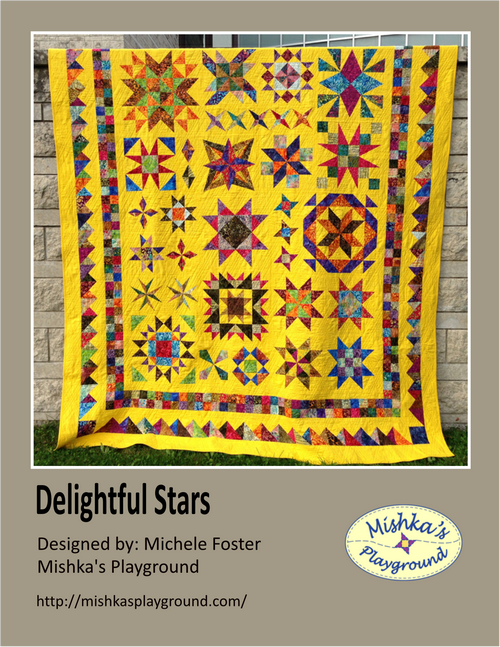 This quilt finishes at an extra large, queen-sized quilt. The lessons, tutorials, tips and resources have been compiled into a 195-page booklet with detailed step-by-step colour photos.